Don’t miss out on today’s freebie from SavingStar! 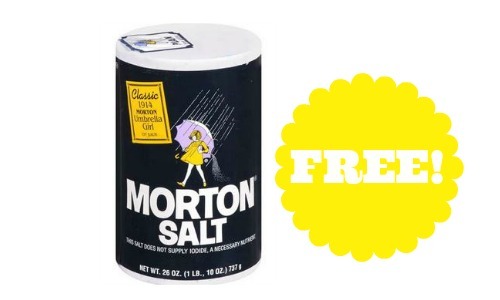 Through 4/26, you can save 100% when you buy Morton’s Table Salt. It’s always good to keep some extra salt on hand, plus it’s FREE, so keep those salt shakers full with this offer. This coupon expires on 4/26 and is good for one use only. Don’t forget you can use Savingstar at Publix too!